Hosted Desktop UK Limited was established in May 2010. 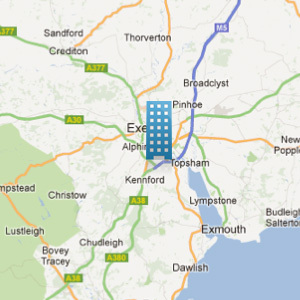 We have offices based in Exeter, Devon and in Manchester. 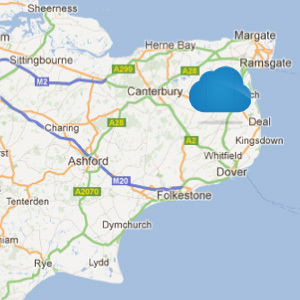 Our data centres are based in Newbury, Berkshire and in Ash, Kent. About Hosted Desktop UK – Hosted Desktop UK was founded by Adam Chetnik who started his career in IT 16 years ago. He set up his first business in 2008 providing IT support to small businesses, at this time he became interested in cloud computing and desktop hosting as it began to develop in the UK. Adam spent almost two years researching and developing the technology, before launching Hosted Desktop UK Limited in 2010. The company is owned by its management team and staff who all work in the business. About Hosted Desktop UK, our support to you. We specialise in providing virtual hosted desktop solutions designed to replace the traditional, in-house IT infrastructure and enable more flexible working. Our system is uniquely designed to supply ‘the best of both worlds’ – the cost efficiency of a multi-tenanted system whilst providing a dedicated system to ensure clients have bespoke configurations to meet with the company’s needs and requirements. Hosted Desktop UK’s team of IT professionals are committed to providing exceptional levels of customer support, as demonstrated by our in-house developed real-time customer support rating system ‘Stars’. After each interaction with a member of our team clients are requested to rate their experience and the results are available for all to see, take a look at how we are performing by clicking here. Hosted Desktop UK own all their own servers and associated equipment; we are not resellers of another company’s hosted platform. Our pricing is transparent and easy to understand. We do not charge for additional applications, nor do we charge for updates, standard backups and replication as we believe these services should be included as part of your basic hosted desktop package. For more information on where and how your data is stored, take a look at this illustration of our UK Data Centres. “Moving to a hosted service was not without its challenges, but we have found Hosted Desktop UK quick to respond to our requests and have a depth of knowledge of the technology that is comforting and necessary. I have no hesitation in recommending them”. “Our two offices with nearly 30 users are now connected efficiently and without any hassle, operating our full CCH practice suite together with Microsoft Office and Exchange very effectively. We’ve saved a lot of directors’ time dealing with IT matters”. “We went live with Hosted Desktop UK in February 2011 and have no regrets. A hosted server solution which has worked well for us in practice, backed up by excellent support staff. Familiarity with our key applications was an important factor in our decision-making.”. “We have used Hosted Desktop UK now for some time and we are extremely satisfied with the service it has provided to us. There have been no problems too big or small that Hosted Desktop UK have not been able to resolve, in fact Hosted Desktop UK have even gone beyond the normal course of duty, by working weekends and nights to ensure our software and server is running smoothly and effectively. We are a very happy customer and would highly recommend Hosted Desktop UK to anyone.”. “Just a quick note to thank you for putting us in touch with Adam and his team at Hosted Desktop UK. The remote hosted desktop offering works a treat for us. It’s a cost-effective solution and we are able to operate a truly mobile practice without being tied down to the same desk (or any desk) any day. Thanks again.”. “Moving everything from in house servers to Hosted Desktop UK has been far more beneficial and successful than we ever imagined – and removed all the “hassles” of daily backups, losing server connections, setting up and configuring software etc. Highly recommended!”. “We had struggled with a number of years with our IT support suppliers until we found Hosted Desktop UK. Now things just work with no hassle and minimal input from us. We would highly recommend them without hesitation””.